Grosset & Dunlap, 9780451532374, 32pp. 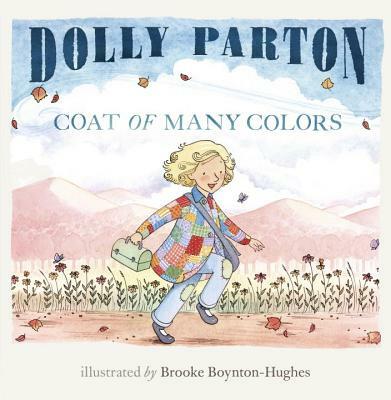 Dolly Parton lends the lyrics of her classic song "Coat of Many Colors" to this heartfelt picture book for young readers. Country music legend Dolly Parton's rural upbringing in the Smoky Mountains of Tennessee provides the backdrop for this special picture book. Using lyrics from her classic song "Coat of Many Colors," the book tells the story of a young girl in need of a warm winter coat. When her mother sews her a coat made of rags, the girl is mocked by classmates for being poor. But Parton's trademark positivity carries through to the end as the girl realizes that her coat was made with love "in every stitch." Beautiful illustrations pair with Parton's poetic lyrics in this heartfelt picture book sure to speak to all young readers. Dolly Parton is an internationally renowned superstar who has contributed timeless classics to the world of music entertainment, including “Jolene,” “Coat of Many Colors,” and the mega-hit “I Will Always Love You.” She has garnered 7 Grammy Awards, 10 Country Music Association Awards, 5 Academy of Country Music Awards, 3 American Music Awards and is one of only five female artists to win the Country Music Association's Entertainer of the Year Award. She has written over 3,000 songs and authored 4 books, including the inspirational Dream More (Putnam) and the children’s book, I Am A Rainbow (Penguin). Ms. Parton’s Dollywood Company provides family entertainment and hospitality to 5 million guests per year at Dollywood, Splash Country, Dixie Stampede, Pirate’s Voyage, Lumberjack Adventure, and the Dream More Resort. In 1988, she began the Dollywood Foundation to inspire children in her home community to dream more, learn more, do more, and care more. Currently the foundation offers the Dolly Parton Imagination Library to communities across America, the United Kingdom, Australia, Canada, and Belize. The program works with local partners to give every preschool child a book each month from the time he or she is born until the child reaches kindergarten. Currently over 90 million books have been gifted to preschool children. Brooke Boynton-Hughes grew up in Colorado, where she spent her time drawing and hiking with her family. She has a BFA in printmaking from Colorado State University and an MFA in figurative art from the New York Academy of Art. To see more of Brooke’s work, please visit www.BrookeBoyntonHughes.com.